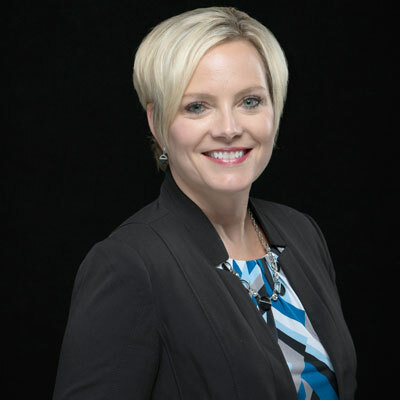 Lisa Miller is President of Wholesale, Indirect and Alliances at CenturyLink. In her role, she is responsible for driving profitable revenue growth through the $5B+ Wholesale & Indirect sales channels and building strategic Alliance partnerships that enhance the position of the company as an industry leader. With more than 27 years of experience, Lisa most recently served as Senior Vice President of Wholesale, Indirect, Inside Sales & Strategic Media sales channels and the Asia Pacific region for Level 3 Communications. Over the course of her career, she has held senior leadership roles across the enterprise and international sales channels. Her wholesale experience spans the globe and she has led cross-functional strategic growth programs in the areas of solution architect teams, sales effectiveness and the Sales Academy. Lisa began her telecom sales career with Sprint Communications. Lisa serves as a mentor, working to develop rising talent and contributes her insights on the importance of women in technology. She was recently recognized as one of CRN's 2017 Women of the Channel. Lisa is also a member of Women In Channel and Women In Cable. By demonstrating the channel's significant growth for our Company. This was accomplished through education of our senior leadership to drive understanding of the importance of this critical channel within Level 3. This allowed for alignment and support, which has led to our ability to drive growth and scale in the channel. We had 5 years of double digit revenue growth. This success is a direct correlation of the strong brand and leader Level 3 was in the industry and now how that brand has helped grow an even larger presence in this space for CenturyLink. • To drive double digit profitable revenue growth • Increase the % of non-channel integrated sales in the Indirect channel • Ensure dedicated and increased support for our Partners and Customer • Be easy to do business with and the provider of choice for our partner community! Recognized as one of CRN's 2017 Women of the Channel. Oprah Winfrey. Oprah became known for her TV show, yet it's her philanthropic, leadership, and personal brand for why I admire and respect her. Throughout her life, Oprah overcame adversity through developing an empowering way to address controversial issues, and uses her influence to develop, teach, and grow the next generation of women. Her ability to reinvent and transform how our society speaks with, interacts, and develops self-love, is something I admire. If we all had the ability to wake up and work with those fighting against us, we would create a world where we are all successful - together. Become a sponge! Be open to learning from people as it is a key factor in self growth. You have two ears and one mouth for a reason: listen and learn! Be curious in everything you do. Be flexible in life as your career can go down many different paths so be open to different options. Never take yourself too seriously as it prevents you from seeing the fun in life. Always treat people with respect and the way you would want to be treated. Always assume best intentions regarding all your interaction. In the technology industry there are always new things that we need to stay current on in order to maximize our roles. Currently digital transformation is the way to set yourself apart as a business. I need to understand how our customers are transforming their business to give them the competitive edge necessary to compete. 'Grit to Great' by Linda Kaplan Thaler & Robin Koval. This book is about how important perseverance and passion are to take ordinary people to extraordinary. It was the book I used with my leadership team in 2017. This was during a year of integration with CenturyLink and we needed Grit to keep selling in a changing environment.